Hitting the snooze button is like eating that 4th chocolate chip cookie in the break room. At the moment, it’s satisfying. But 20 minutes later? You’re probably not feeling so good. Snoozing is a guaranteed way to start your day groggy, frazzled, and a little guilty for avoiding the inevitable. 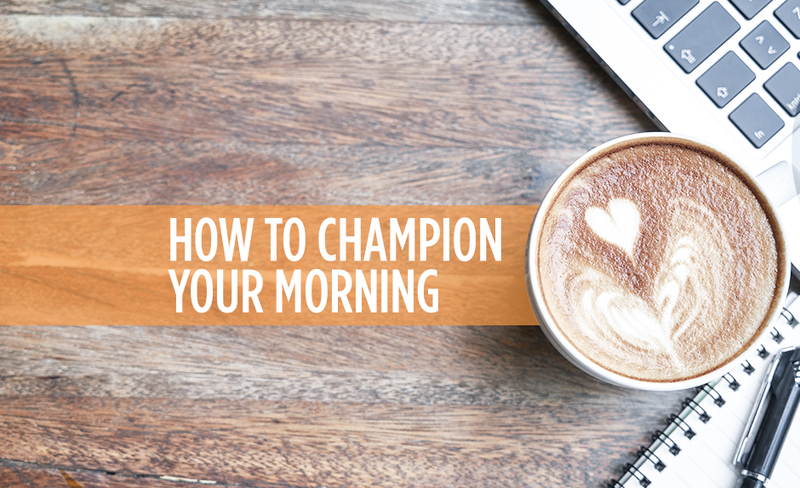 Go guilt-free and set your alarm for your true wake-up time. To accomplish this, consider moving some of your AM routines to the PM. Pack your lunch after dinner, prep your coffee pot, or choose tomorrow’s outfit before bed. Can’t quit the snooze button? Guarantee your rising and shining by placing your alarm clock across the room. Depending on your job, getting dressed in the morning can prove to be frustrating and time-consuming. Looking and feeling your best is crucial to achieving your workday goals, but you don’t have to sacrifice sanity to get there. As mentioned, try choosing your outfit the night before. It also helps à la Mark Zuckerberg, to have a consistent rotation of outfits and basics to pair together. If you’re finding yourself spending way too much time shuffling through your hangers, get honest with yourself and donate any unused clothes to Good Will. This, above all else, is the simplest and most beneficial way to make the most of your morning: Slow down.Take the time to assess your mood when you wake up. Take the time to sit down for a healthy, delicious breakfast. Take the time to be thankful for another opportunity to make the most of your day. Following one or more of these tips will set the intention for the rest of your workday, allowing you to think sharper, stress less, and enjoy more.